A very special M1 Garand is going up for auction this September. President John F. Kennedy’s M1 Garand rifle, obtained from the CMP in 1959, will be auctioned by the Rock Island Auction Company (RIAC) as part of RIAC’s September Premiere Auction. RIAC believes JFK’s Garand will fetch from $50,000 to $100,000 at auction. 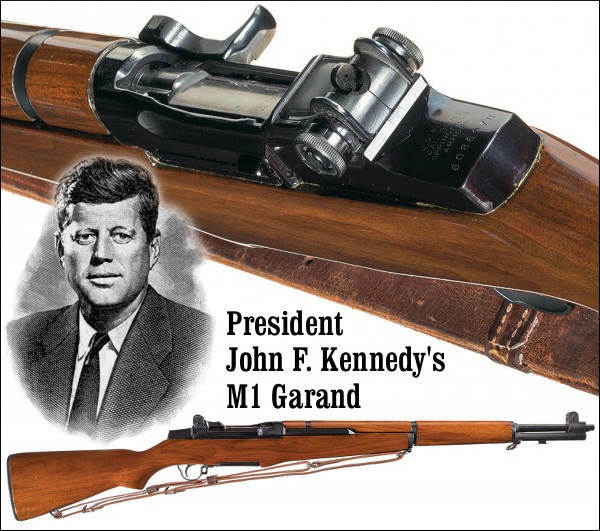 President Kennedy obtained the M1 Garand in 1959 while he was serving as U.S. Senator from Massachusetts. “Since this rifle was issued to Senator Kennedy in 1959, well before he was elected to the Office of the President of the United States, this rifle could very well have accompanied him directly into the White House,” RIAC stated. Share the post "JFK’s Garand to Be Sold at Auction in September"